As a successful general contractor, a subcontractor is more than likely an integral part of your business. Contractors and subcontractors work hand-in-hand to complete construction projects. The contractor, often referred to as the “prime”, acts as the manager of the project, serving as the central point of communication and as the overall coordinator. It is the responsibility of the contractor to oversee and hire the subcontractors needed to complete a job. Whether you’re a subcontractor or just hiring one, a subcontractor agreement helps protect both parties’ interests. The purpose of an agreement between a general contractor and a subcontractor is to make sure that there are no misunderstandings. The agreement should describe the services and materials to be provided by the subcontractor, price of the work, timelines and warranties of the parties. Other important provisions in an agreement should include insurance, default, payment bond, performance bond, paid when paid clause, change orders and indemnification. A Subcontractor Agreement should outline all of the expectations between the parties so that there are no surprises and to insure that both parties are on solid legal footing. With the details hammered out, you can focus on getting the construction project completed on budget and on time. 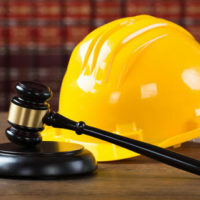 Very few attorneys fully understand the day-to-day operation of a construction business, and even those who regularly handle construction cases rarely have the real-world experience to understand how the business of construction works. As a former owner of a construction company and as a licensed contractor, Daniel M. Copeland spent more than 15 years working in the industry. So if you are dealing with a challenging dispute or just trying to put protections in place, call Daniel M. Copeland, Attorney at Law, P.A. today. CONSTRUCTION LAW IS COMPLEX AND CANNOT BE COVERED COMPLETELY IN THIS BLOG. WE HIGHLY RECOMMEND THAT WHENEVER A SPECIFIC ISSUE ARISES, YOU CONSULT AN ATTORNEY.